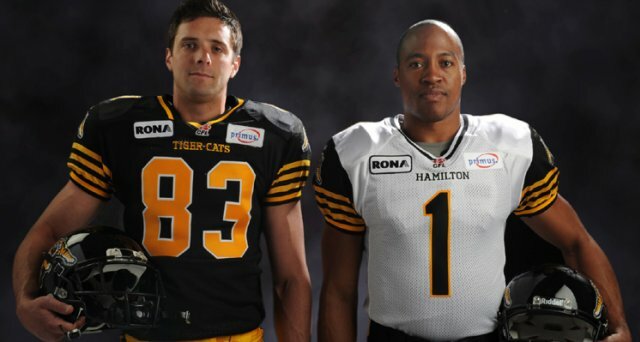 The Hamilton Tiger-Cats have unveiled their reengineered Reebok uniforms today, delivering an improved jersey for both players and fans. Tested in the lab and on the field, the jersey sports a variety of improvements including enhanced elasticity and moisture resistance. Lighter and more fitted, the new generation of Reebok CFL jerseys offers greater range of motion and movement to players. Likewise, the Premier jersey has also been improved to offer a more relaxed fit and look to suit the lifestyle of every fan. 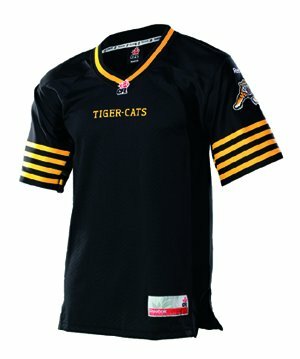 For more images of the Tiger-Cats new uniforms, click here. Tiger-Cats fans will have their first chance to see the team’s reengineered Reebok Premier Jerseys in person this evening at a special public event at Lime Ridge Mall. The event will begin at 6:00pm inside the main entrance with receiver Andy Fantuz showing off the team’s new look. Fantuz will sign autographs from 6:00-8:00pm and the Grey Cup will also be in attendance as the 100th Grey Cup in Toronto grows closer. Fans will also see how the Tiger-Cats uniforms have evolved through the years with display cases showing 12 historical uniforms on hand courtesy of the Canadian Football Hall of Fame. In addition, fans can find out what they would look like in the new uniforms thanks to a unique photo exhibit on-site. The historical uniforms and photo exhibit will remain on display at Lime Ridge from Tuesday until Monday, May 7.